Hello there UBESters! If you’re new this year, you won’t have met me yet as I’m currently on a year abroad studying in Graz (southeastern Austria), allegedly to study Computer Science but actually here to establish an Austrian branch of UBES as the first step in our progress towards becoming an international cult. Note that my fellow Foreign Correspondent, the wonderful Dari, is also busy spreading the UBES word in Germany – I’m sure you’ll be hearing from him too soon! The Österreichischer Alpenverein (ÖAV) is the Austrian equivalent of the BMC in the UK. 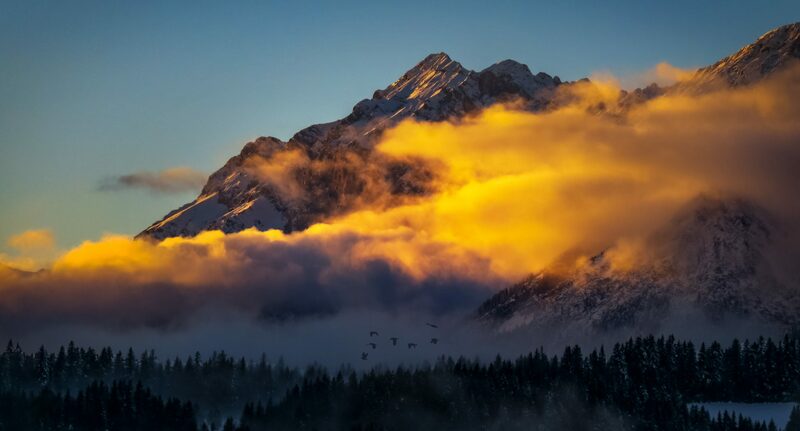 There are local branches in towns and cities across Austria and at each branch volunteers run training courses, organise group activities such as hiking, climbing and snowshoeing, and help maintain hiking and climbing routes in their area. There is actually a branch of the ÖAV in Britain, the Austrian Alpine Club (AAC), which you might have already heard of because of the fabulous insurance policy (common to the whole ÖAV) included with their membership. It’s the cheapest possible way I know of to get worldwide travel insurance for mountain sports, covering many activities which are normally excluded such as alpine climbing, ice climbing and unguided off-piste skiing. I’d be doing the AAC a huge disservice however to only mention them for their insurance – they also offer a great selection of meets and training courses in the UK and abroad, and you get reciprocal rights (i.e. huge discounts!) at many alpine huts throughout Europe with your membership, unlike the BMC where you have to cough up for a separate £45 card in addition to membership. If you’re planning a trip to Austria or to any alpine region in Europe it’s worth getting AAC membership for the insurance and hut discounts. The only issue I’ve found so far with the AAC is that the ÖAV online booking system doesn’t recognise international membership numbers, so I can’t book onto local courses and group activities online – this won’t be an issue unless you’re actually living here though! As someone ‘mildly’ obsessed with backpacking, I love wild camping and find it frustrating that it’s illegal or extremely discouraged (“GET OFFFFFF MYYYY LANNDDD!! !”) in many countries. The ÖAV has an article on the Austrian laws which I’ve tried to summarise in English below. 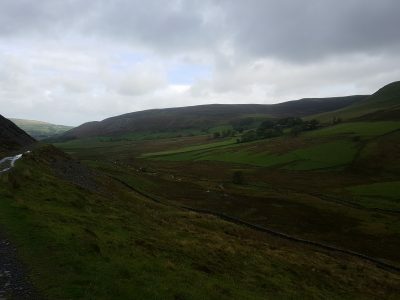 This is just my understanding of it – there are many, many laws affecting wild camping rights and often they’re quite ambiguous as they weren’t written with camping in mind, so I’d recommend doing further research specific to the area you want to go to. The ÖAV guide doesn’t mention Vienna, but I would assume it’s banned there. 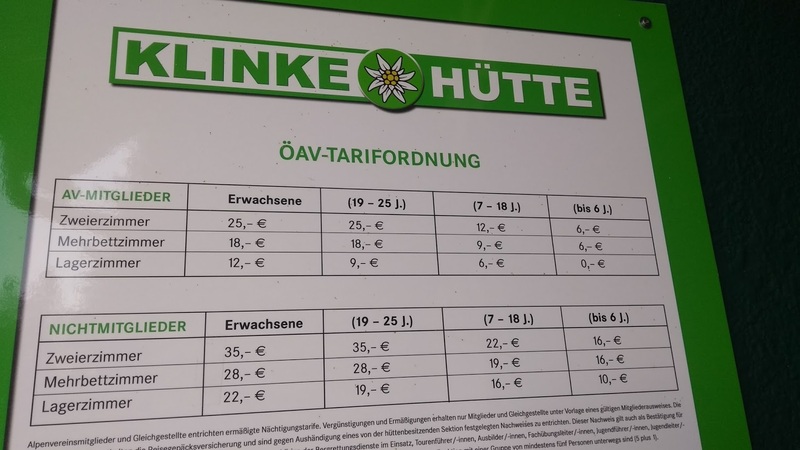 Note: fines are hefty in Austria (such as the classic €800 fine for cycling home drunk, the very mention of which can send a shiver down any student’s spine) – don’t be tempted to ignore a camping ban! Camping in forests is forbidden throughout Austria unless you have permission from the landowner. Very strict bans can apply in national parks and protected nature areas (Naturschutz– / Sonderschutzgebieten), so contact the relevant authorities for details – expect it to be forbidden. For example, wild camping is forbidden in the Gesäuse National Park, but you can camp in the mountains just outside the park boundaries (e.g. Sparafeld/Kalbling above the Oberst-Klinke hut). The Innsbrucker Hütte in the Stubai Alps. Photo credit: Tako van Midwoud. 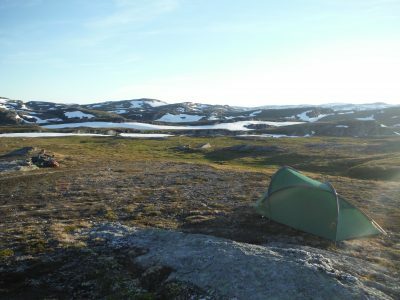 Wild camping can really add to the fun of a hiking trip – and, in the case of long-distance thru-hikes, may be the only way for the trip to be financially viable – but staying in alpine huts is a brilliant experience unlike anything you’ll find in the UK (with the odd exception like YHA Black Sail). If you’re expecting a bothy-style experience, you might be in for a shock – there are some unstaffed huts (which you’ll need to request a key to access), but many huts are essentially basic mountain hotels and serve hot food and drinks. It’s brilliant to come back after a long day and settle down by the fire to chat to others staying at the hut and eat some hearty Austrian food. Many huts have live-in guardians who are incredibly knowledgeable about the nearby routes and conditions and will gladly offer you route advice. And of course, the experience at each hut changes every night depending on who’s staying there. I found my night at the Admonter Haus especially fun as the others staying at the hut were all from the Czech Republic, so I learnt a lot about the hiking there and a few words of Czech whilst chatting around gigantic plates of Gröstl and Gulasch. I suspect the guardians there were also secretly magicians – it was quite amazing how between just the two of them they managed to cook so many different meals at once whilst joining in with most of the conversation and the rounds of shots! Prices for staying at the Oberst-Klinke hut as of September 2017. Your cheapest option is a Lagerzimmer at €9/night (€12 if you’re over 25) if you have AAC/Alpenverein membership. Normally there’s no heating in the room, but you’ll be given thick Alpenverein blankets so you don’t need a sleeping bag. You do however need a sleep sheet or sleeping bag liner – it’s to keep the blankets (and you) clean, because due to the remote location of most huts the blankets don’t get washed that often…Note the blankets are marked with a Fußend (the end for your feet) – use them the right way round! One other thing not to forget is to take your boots off when you come in – a very sensible precaution to prevent the hut becoming a muddy mess every evening. Bring your own flip-flops or borrow a pair of Hüttenschuhe (slippers) from the pile in the doorway. 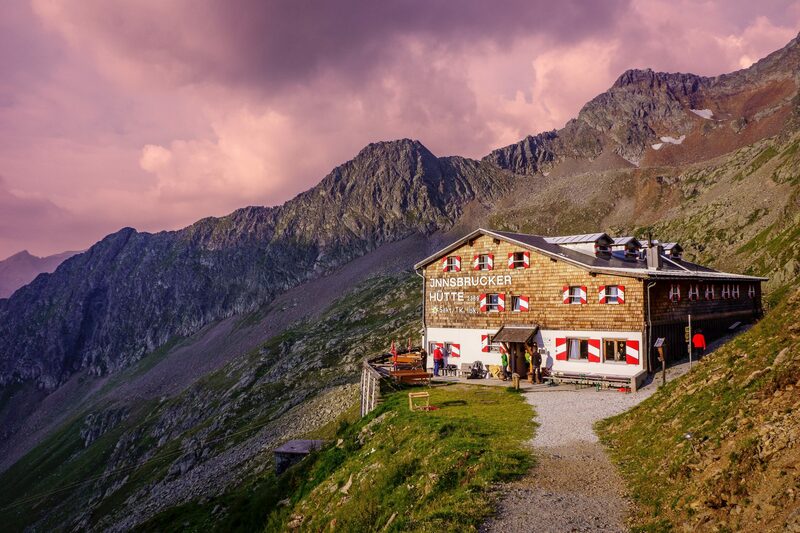 For more info, I recommend checking out the AAC’s guide to Austrian mountain huts which explains details like the pricing system, rules, hut book, annual opening dates, booking etc in English. A picture says a thousand words and this post has become enough of an essay already, so I’ll let the photos do the talking here. I’ve only had chance to do a 2.5-day trip to the Gesäuse so far but I’ve been longing to go back ever since! The national park itself is fairly small at 110 sq km, but there are also lots of mountains just outside the park boundary. I actually hiked almost completely outside the boundary (my route was Gaishorn am See -> Oberst-Klinke Hütte -> Admont -> Admonter Haus -> Admont, with lots of detours to summits along the way). The Gesäuse are part of the Kalkalpen (Limestone Alps) and are known for their dramatic jagged peaks and sheer rock faces. The national park’s slogan is “Das Gesäuse gibt Kraft” (the Gesäuse sustain you / give you strength) and as I looked in awe at the dizzying drop in front of me on the summit of Sparafeld I could see exactly what they meant! This is a particularly good location for rock climbing (Klettern) and via ferrata (Klettersteig) – I was forever paranoid that I was going to accidentally end up on a via ferrata route without kit, as there are just so many of them. It’s fairly easy to get to by public transport (e.g. from Graz: Flixbus to Liezen and then a local bus to Admont or Gstatterboden, or a train to Gaishorn am See or Trieben and then hike in; there are also a few trains a day to Admont) but the buses within the park are quite expensive, so if you can it’s best to come by car to get between routes. Or you can just do lots of road walking like I did! And make sure to check out the beautiful Admont Abbey (Stift Admont) while you’re here. A great place to start is the ÖAV Tourenplaner. 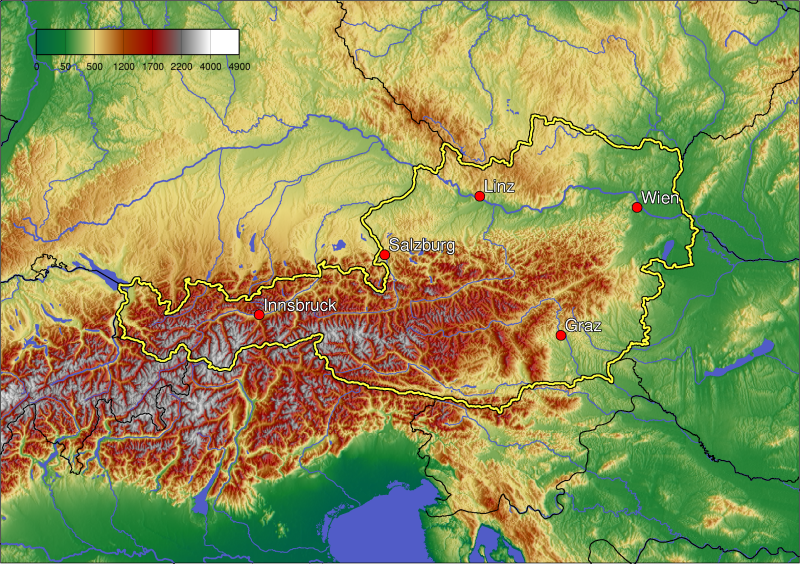 With this tool you can access hiking map data from OpenStreetMap and OutdoorActive for Austria and most of Europe, and calculate distance and elevation change by drawing routes onto the map (click on Wegenetz to automatically find a hiking route on marked paths between two points). If you’re planning a hut-to-hut route, the ÖAV site is again a fantastic resource as their Hüttenfinder lets you search for huts by criteria. 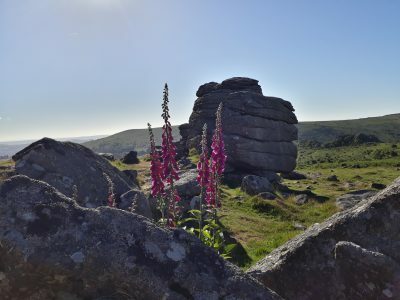 Each hut has its own page which lists useful info like opening dates, whether you need to book or request a key and the number of beds, but also crucially a list of the main nearby huts and how long it will take to hike to them. Bergfex have a slightly terrifying amount of routes uploaded by the community (terrifying because I’m never going to manage to hike them all, le cry) with descriptions in German and often photos and GPS tracks too. Map-wise, the Kompass or ÖAV maps (Karten) are very good. I’ve been pretty impressed with how up-to-date OpenStreetMap data is around here as well – no doubt due to a lot of hard work from volunteers. Hiking paths here are often very well marked, with Austrian flags painted onto trees/rocks to show the way and yellow signposts at path intersections, but don’t depend on these as it can vary, and there are occasional path closures (not helpful when you’re late for your train and have to practically throw yourself down the side of a hill…). 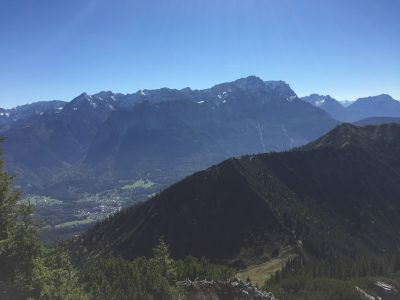 There are some incredibly diligent Austrian bloggers out there documenting routes step-by-step with tons of photos – their posts are really useful! You’ll normally find some useful posts just googling the names of the mountains along a route. If Google Translate lets you down then give me a shout and I’ll help you with the route description. Also stay tuned because I’ll be doing another blog post soon covering long-distance footpaths in Austria such as the Adlerweg and Salzburger Almenweg! Don’t worry! Most people here speak very good English so you can easily get by (and those who don’t will at least be familiar with Denglish (GO LISTEN TO THIS GLORIOUS SONG) ). I’ll also try and teach you some key mountain-related lingo auf Deutsch in each post. German is a really fun language to learn (you can slot words together like Lego bricks to build one ridiculous long word, what more could you want from a language??) so give it a try! If you think this sounds awesome and you’d like to plan your own adventure in Austria, or you’re wondering about spending your year abroad here, then get in touch! I’m here to answer questions about all things Austria. Send me a message on Facebook or get in touch via the committee email. A PostGrad’s guide to all things Conville!